Pearl and Jack passed their giude dog exams during a "snow storm". 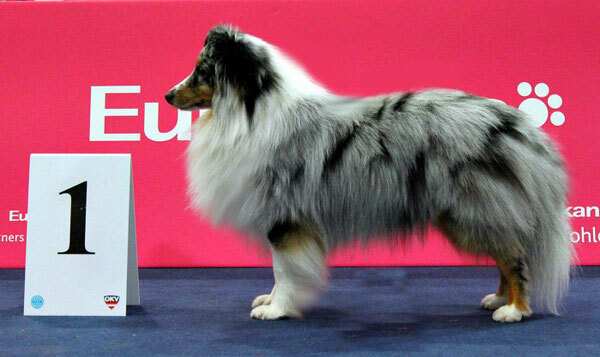 On Sunday we were at the international dog show in Wels and Jack got his third CAC-A. On Saturday we did the guide dog certificates. Pearl passed ​​the advanced exam and Jack the beginner exam in Unterpremstätten. The judge was Heinz Zierler. 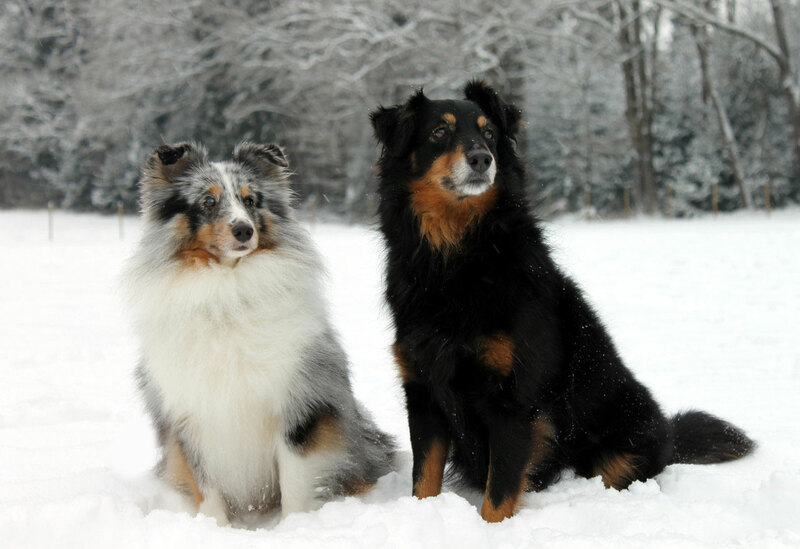 The dogs did well despite the bad weather. Thanks to the dog school in Unterpremstätten, that we were allowed to join and thank you to Hern Zierler to take the exam. Thank you to Chri for your support! On Saturday evening Jack and I went to Wels by train. It was a nice evening with our friends. On Sunday, Jack exhibited in the open class and was able to convince the judge of himself. He got a ex1 and the CAC-A. Am proud of my little blue boy. We also met many nice people in Wels. Monika of The Pride of Rough's was there and Jack lovingly greeted her, Monika is indeed quasi his "mother in law". We also met Corinna , the owner of Jack's son Beau Little Joe TPoR. Dear friends came along too and cheered us. Bettina thank you that you've convinced me to come to wels, it was a beautiful weekend and much fun!